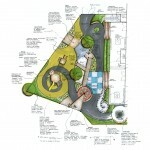 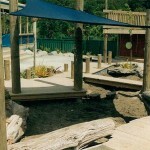 A massive fundraising effort by parent and staff made this wonderful outdoor play space possible. 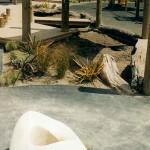 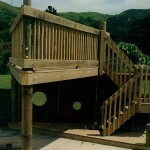 A range of custom-built and modular play structures were designed to encourage creative play - a rustic, naturalistic series of sandpits flow through the playground which includes creative features such as an outdoor blackboard, playhut, murals and a wet play ‘creek’. 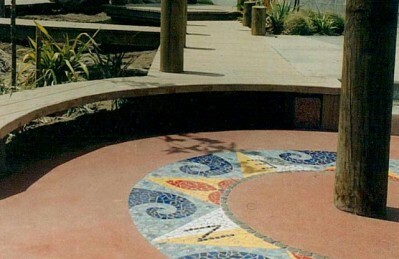 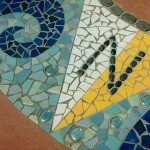 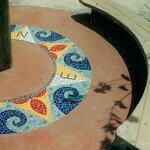 The lookout tower and mosaic giant sundial make colourful stimulating focal points, and a variety of materials in the paving and structures creates further interest and stimulation. 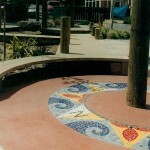 The boundary fence beween the playground and the neighbouring school now features a mural, blackboard and ”spyholes” for the smaller children to spy on the older children! 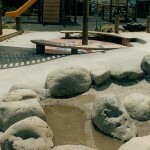 All great fun.